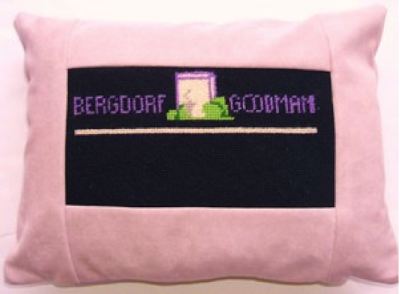 August|Morgan is a new Austin-based design duo that offers one-of-a-kind "pillows with provenance." 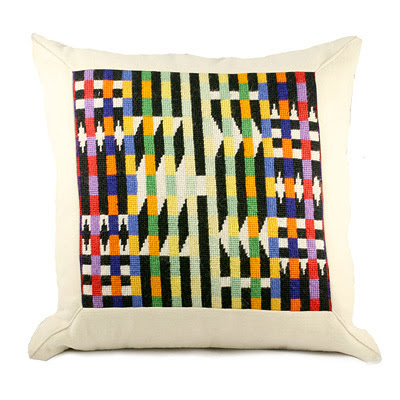 They collect antique and vintage needlepoint and transform it into decorative pillows, like the above 18" x 18" Rainbow grid pillow ($250). 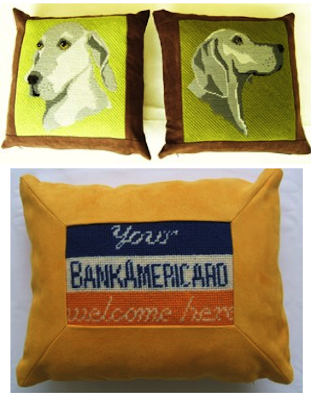 Below: Hounds pillows ($200 for the pair); Plastic pillow ($125); Bergdorf Goodman pillow ($125). Thank you so much for the fabulous mention! We are in amazing company! Your blog is superb!